Take learning to the next phase with hands on instruction and practice. Put all that new knowledge to work with practical application, tactile experience, and high impact scenarios. Come to one of our amazing venues or host a class in your home area. Perfect for rope riggers who are looking to get things done. These master classes focus on not only knowledge but on a specific deliverable that will spark growth. Gain instant access to our database of courses & certifications by becoming a Rigging Lab Academy Member today! Unlimited access to your training roadmap of courses! A personalized Certificate of Completion after completing each course. No matter your level of experience or preferred rigging discipline, we have courses and certifications that will help you build a strong and stable foundation of critical, must-know rigging skills. A simple 5 Day Advance Master Class on successfully leveraging the power of high directionals and twin tension rope systems. A “thinkers lab” with Craig McClure and other instructors, for riggers that want to experience and practice ideas beyond the common and repetitive basics. The class will be collaborative, experimental, challenging, and fun! Leave with greater skills, an open mind, and a new found feeling of being part of a larger like-minded rigging and rescue community! Learn More About The NEW Live Workshop! Rigging Lab Academy’s leading contributor training and Certifications of Completion are perfect for the new & the seasoned veterans looking to brush up on basic skills. Each of the different Cornerstones are set to pull from one another, setting our objectives through the cornerstones to reach the “Masters Technician Level”. Awareness is always the place we start from. Bringing knowledge and experience together providing lectures and demonstration in a virtual course, follow the path that goes over a framework that will allow you to take your rigging talents and turn them into strengths. Dive into metacognitive strategies as they apply to what you learn every day. Get an awareness view of the current problems we’re seeing with edge safety in Search and Rescue as well as possible solutions to consider. It’s no secret that there are many aspects to rigging theory. Join us as we dive into the world of vectors, scalars, and values. Learn about rope systems and their various parts and components in the exclusive Elevated Anchor Systems course. Learn the major benefits of using the Harken Riggers Winch in rigging and rescue operations. Dramatically increase your knowledge of taglines, dynamic directions, highlines, and other must-know areas of horizontal systems. Inside this course, Trask Bradbury brings a new concept for safe and simple rigging. Enroll now and dive into the basics of single trackline highlines. Learn invaluable material on twin bundles, dual trackline highlines, & more. Master concepts pertaining to major taglines, 2 rope offsets, and more. 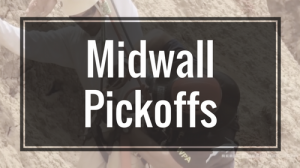 Learn the ins and outs of Solo and Team Based Rescues, rope access, pickoffs, caving, and more inside this exclusive course. Specifically designed for fire services, this course dives into a variety of hazards involved in the discipline. Walk through the various elements of what it takes to become fully equipped to carry out the demanding types of high angle rescues. Increase your knowledge of climbing, fall protection, structure & ground based rescues, and more. Learn about components such as self-escape, solo rescue, two-person rescue, companion rescue, and more. Explore Arizona Vortex principles, two tension rope systems, Bowline knots, dynamic directionals, and more. Join us for an ever-expanding portrayal of not just gear and equipment, but gear and equipment in use. This course will walk you through the most appropriate knots, bends, and hitches for the job at hand. In the true spirit of the art of knot craft, we thought that defining knots deserved a little more credit than just “intertwined rope”. 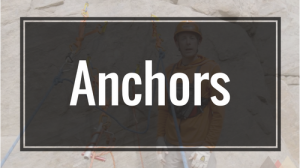 Learn the ins and outs of one of the most critical components of any rope rescue: anchors. with Martin Barnett & Trask Bradbury. Learn the how, why and where to properly place removable bolts and anchors. Learn foundational skills for canyoneering anchor and rigging systems with Rich Carlson. 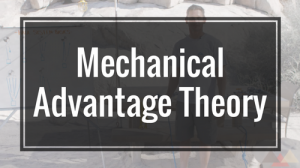 Get an overview of what mechanical advantage theory is, how it works, and how it can be applied on the field. Get an inside look at what mechanical advantage theory is, how it works, and how it can be applied on the field. Get an inside look at how to navigate the maze of pre-planning a rescue at a very busy climbing area. Learn how to create litters that are strong, rigid, and adaptable to many different applications. Learn must-know skills on rappelling, ascending fixed lines, single body belay techniques, pick off skills, and rope management. 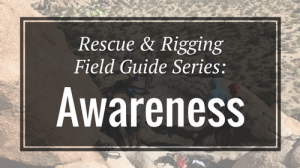 Join us as we examine both team and solo rescues, traditional belays, and lowering systems. This course takes a detailed look at the equipment used by the roping technician. Learn the basic “rules of thumb” that enable us to put numbers to friction and, in turn, make sound decisions about how to work with it. Our team is dedicated to providing our members with relevant courses and master classes that meet industry standards. That’s why new courses and specialized training videos are added to the Rigging Lab Academy library each year. Get a glimpse at the new upcoming courses you’ll find inside Rigging Lab Academy below. This framework will allow you to turn your rigging knowledge into valuable skills.